One of my goals this year was to see if I could sculpt an image that could create an animation in a person’s mind through touch. Can I carve an image that makes it seem like a moving picture? I have to have a strong curiosity in my subject matter because it has to be sustained through many weeks of carving. 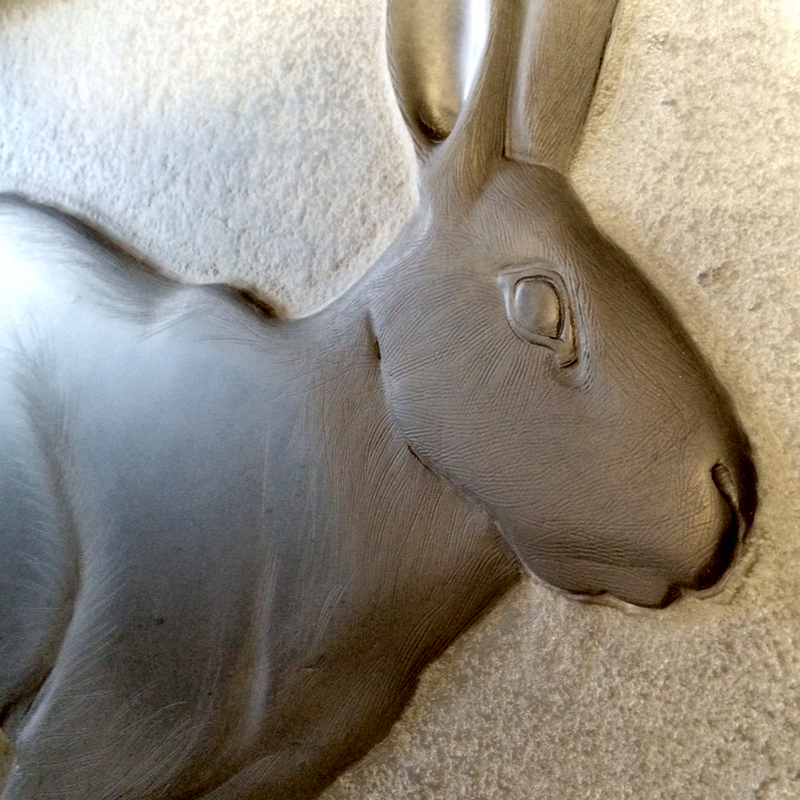 For this sculpture I chose rabbits. 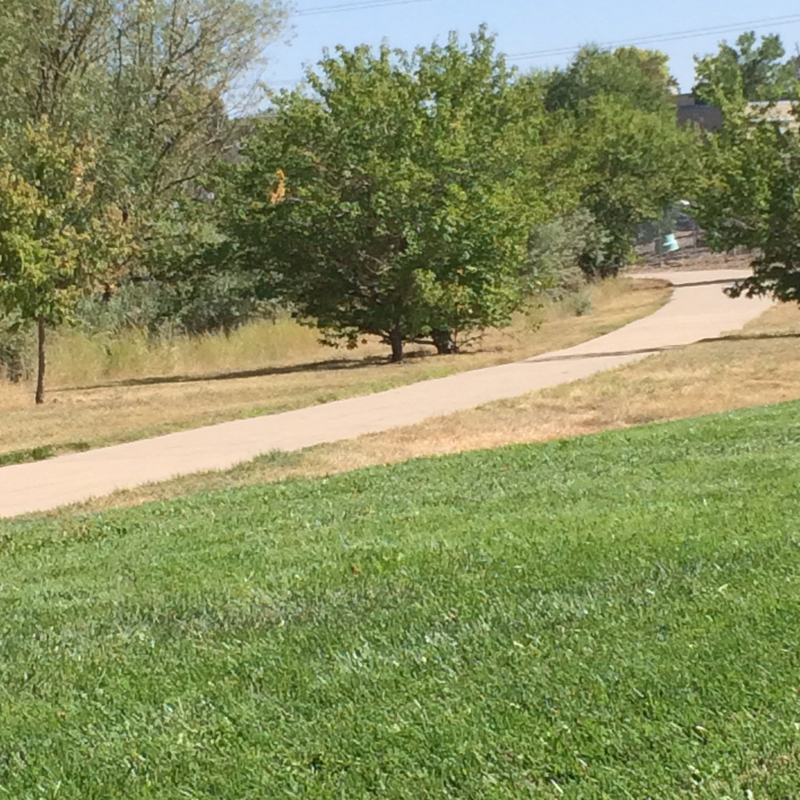 Near my neighborhood is a trail that follows a stream flowing through some wetlands. From one year to the next the rabbit population seems to boom and then diminish in direct proportion to the number of coyotes in the area. This year there seem to be fewer, but bolder, coyotes. 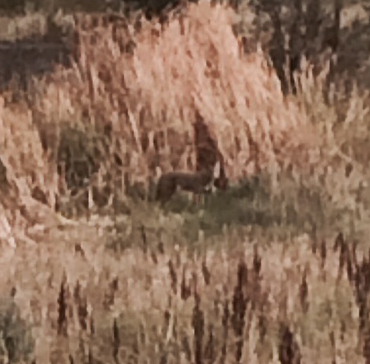 The result is that the coyotes are well fed and we still have lots of bunnies. 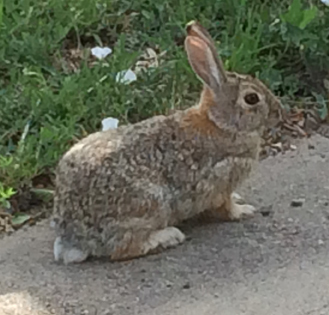 A rabbit resting on the trail. A coyote is right in the middle of this picture. I love drawing animals that I haven’t drawn before because I get to learn how they are put together. I start with a gestural drawing just to capture the “feel”, the motion and emotions, of what I want to sculpt. Once I have that picture, I cutout a skeleton to see if what I am thinking of drawing is even something a rabbit could do. 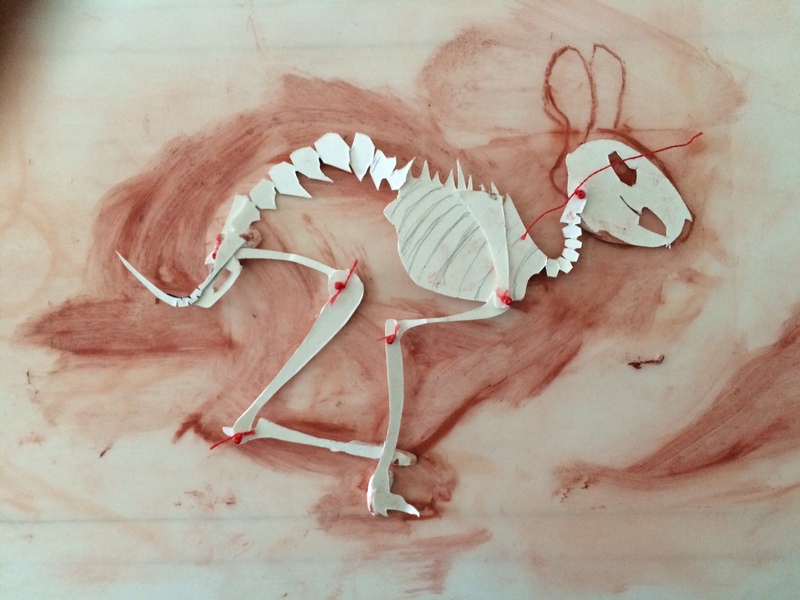 I fit the skeleton into each rabbit and use that as a guide as I draft my working drawing. I love seeing how a rabbit uses its body as compared to how I use mine. Rabbits and humans have homologous parts but use them in very different ways. When I get down to the bones I can see this and feel it as I sculpt. I find myself imagining what it would feel like to be able to run like a rabbit. I wonder what it would be like to see out of the sides of my head. How much more could I hear with those ears! Next week, when I teach class at the Colorado Center for the Blind, I will be able to give this baby a test run. I’ll post video results.